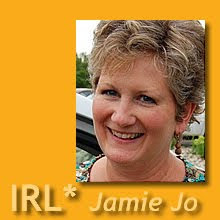 IRL*in real life with Jamie Jo: Earthquakes and Hurricanes and Drug Wars! Oh, My! You're right though: safe is being in the middle of God's will! So, DID you hear the bombings? (Just kidding.) I do pray for your safety, but not fearfully, just knowing that things "could" happen in your neck of the woods. Oh my, this is exactly what happened last year when we had our earthquake/tsunami/nuclear disaster in Japan. Hundreds of emails, hundreds of hits on my blog, and people who never contact us (like a distant aunt) calling my parents to ask if we were okay. It was all made much worse by the hyperbole about the nuclear situation. Thankfully our families didn't bug us to get out of here, but many families of missionaries did. There was a huge exodus of foreigners (but many missionaries did come back after a week or three). You are so right in saying that most people don't have the option to leave. I figured (in the heat of "should we leave temporarily or stay" dilemma) that if anyone was to die, it should be us, not the unsaved Japanese. At least we are ready to meet our maker! "...if anyone was to die, it should be us, not the unsaved Japanese..." Good words. As for your article, could you send it to WOTH? They are still looking for material for upcoming editions of Connection. I think the old email address editor@womenoftheharvest.com works again. If you send it to me at IRL@lokerfam.com, I'd love to read it, too! Hi Wendy! We are always looking for articles for our Connection publication. You can email it to editor@womenoftheharvest.com I look forward to reading your article! Thanks Jamie Jo and Kristy. It should be in your inboxes now. If one needed to judge most places by media reports I doubt we'd find a nice place to live. I often feel safer here than in big USA airports or cities because I know the folks here and know that they will help out in any way they can should an accident or problem arise. I try to remind my self when Haiti hits the news and folks start contacting us or our folks-at least they care enough to ask about us and lift us up! I'd likely feel a bit left out and forgotten if something big happened and no one cared to ask about us. And we do feel safer here partly because of the relationships. Any of our neighbors would come to our aid if we ever needed it. Amen to the safest place to be is in the centre of God's will, wherever in the world that might be. Amen too to the prayers of those who love us. There are risks in living anywhere. I love that I have people praying for me every day. I wonder how many Christian teachers in my home country can say that, and yet their work is just as important. Thanks JJ. Christian teachers everywhere should have prayer partners. So true! I do appreciate the prayer covering any time.